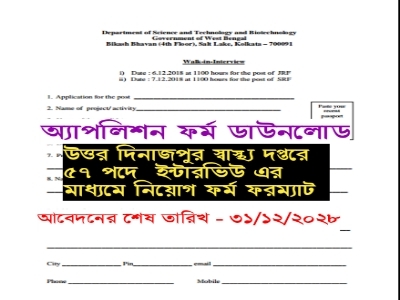 Are you looking for DHFWS, Uttar Dinajpur various post Application form? If yes, here is the right place for you. Uttar Dinajpur, DHFWS recruitment various post like lab technician, MO, Staff nurse, Specialist, Technical Supervisor, and others post. At first, You Download this form below link.